Worshipping God is for me. It keeps me knowing that God is taking care of me. 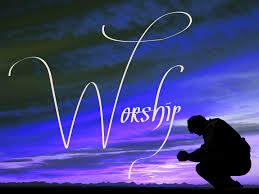 God doesn’t need my worship…I need to worship you God for my sake. Worship keeps my mind in the right place which is in you. You God are the I Am and you are securing in who you are. You don’t need anything from anybody. I need to worship you more than I can understand. Worship is a very important part of who I am as your child. I need to really get into honest and truthful worship from my heart and soul. I need to develop in me pure worship from my sanctified spirit if I am to grow and mature as your child. I must make worship a priority in my life! I must also remember that my very life is worship to you. I need to devote more of me to you and less of me to this world. This is true worship from me to you. No one else can do this for me. There are no short cuts. I must listen to the Holy Spirit and let Him lead me in the best way for me to worship you. As the days here on earth are getting more trying everyday…I need to worship you more than I ever did before. I need the assurance that worshipping you brings to my soul. I need to also draw people to Jesus through me…my life and this can be enhanced by my worshipping of you.